9 days from £3845pp plus international flights. 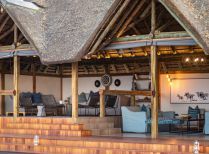 This is a holiday for the real safari enthusiast, with boat trips, night drives and guided walks adding extra dimensions to the traditional game drives. 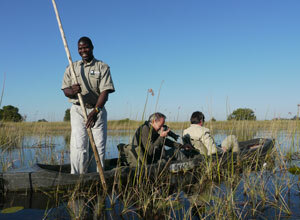 Expert guides and trackers make the most of your valuable time and you'll have a great chance of breath-takings sightings of predators including big cats and, of course, wild dogs. 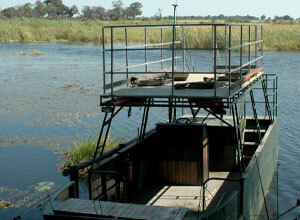 Botswana is renowned for its varied scenery and profuse wildlife. Your safari takes place in 2 private reserves, where you'll have ample time to immerse yourself in the natural environment. 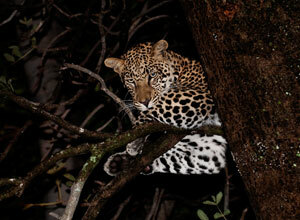 You'll have close up encounters with wildlife which will live long in your memory. The thrills don't stop there, as you're whisked away to Zimbabwe and Victoria Falls, surely one of the most iconic natural sites on earth. The camps are at the core of this holiday. 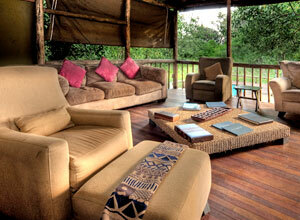 The two bush camps are beautifully located, so you can start each day watching game from the privacy of your veranda as you sip a steaming mug of tea. Your mornings and evenings are dedicated to game activities, leaving you free to enjoy creature comforts in the middle of the day: taking a dip in the pool and savouring fine, freshly-cooked food washed down with a good wine. 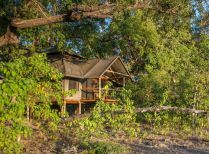 Your third camp, high above a gorge of the Zambezi, is opulently luxurious, with huge tented suites each with its own deck and plunge pool. 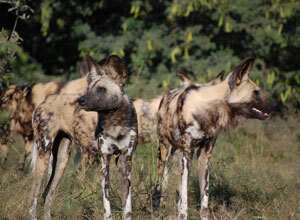 This holiday is full of enough activity, excitement and unforgettable experiences to last a lifetime, and you might not be just falling for wild dogs! Price notes: 2019 guide price pp sharing, from: Apr - Jun 2019 £5910; July-Oct 2019 £7685; 1-14 Nov 2019 £5685; 15 - 30 Nov 2019 £3845. 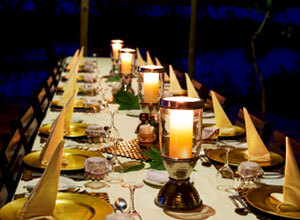 Accommodation on a twin share basis; transfers and domestic flights as specified in the itinerary; all meals and drinks at Little Kwara/Splash Camp and Lagoon Camp; all meals, local brand drinks and house wines at The Elephant Camp; all game viewing activities at Little Kwara/Splash Camp and Lagoon Camp; 2 daily transfers to Victoria Falls a day at The Elephant Camp; meeting the Wild Horizons elephants from The Elephant Camp; laundry service at all camps. International flights and taxes; visas; vaccinations; travel insurance; tips; items of a personal nature. 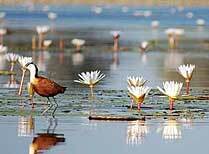 This holiday starts at Maun Airport and ends at Victoria Falls Airport. 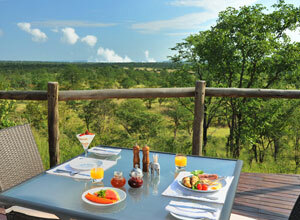 It would be best to get an international flight via Johannesburg, possibly using South African Airways. 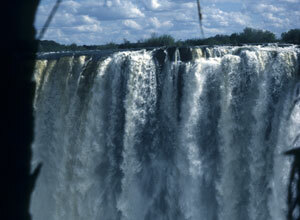 Return flights from the UK into Maun and out of Victoria Falls will cost from about £1200 per person, depending on season and availability. Departure dates: This is a tailor-made holiday that operates from January to November and can begin on the day of your choice. 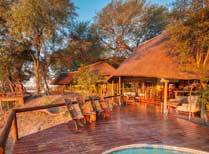 These vast areas of private reserves west of Chobe offer some of the best, exclusive wildlife viewing in northern Botswana. 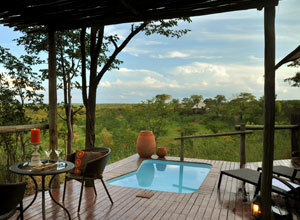 Riverside tented camp in northern Botswana offering land & water based game viewing. 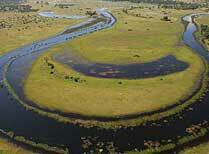 A beautiful secluded and personal camp in a game rich area of the Okavango eco-system. A small, welcoming camp set by a large pan in the private Kwara Reserve, offering land and water based activities year round. 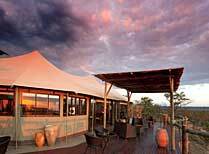 This upmarket tented lodge offers access to Victoria Falls and the chance to see African elephants up close.